Thank you to everyone who attended the resilience workshop yesterday. 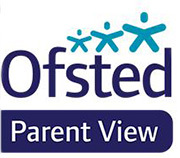 Feedback from the event was very positive, including comments such as "I'm so pleased things like this are being offered to us, thank you" and "This should be essential training for parents!". This was the latest in our Parents in Partnership series, which includes transition events for parents to join their child in their new Year 1 classes and our recent Maths evening for Key Stage 1 and 2 parents. The link to the speaker's slides from the resilience workshop is below. We have also summarised her key messages below, which we hope is helpful to those parents who were unable to attend. There is significant research on the negative impact that focusing solely on exams results has in later life. Young people with excellent exam grades are not necessarily able to cope with what life throws at them (for example with receiving constructive criticism at work after always having been high achievers at the top of the class). There are increasing levels of mental health issues among young people. Resilience comes not just from major life events but from day-to-day experiences and how we react to them. We can teach relevant skills (for example teaching problem solving skills rather than always providing solutions); although we all start at this learning from a different base, we can all work on and develop those skills. Resilience is not about making children happy all the time; we need to acknowledge that a range of emotions is normal and teach the skills "not just to survive the storm but to dance in the rain." Our emotions (and those of our children) result from an Activating event, a trigger. We need to analyse and talk to our children about our Beliefs in that moment. Those beliefs trigger Consequences, i.e. emotions and behaviours. For example, if a child gets a low score in a maths test, they (or we) might respond to that Activating event or trigger with Beliefs of "I'm rubbish at maths", "I'm useless" or "it is the teacher's fault". The Consequences might be that they get angry, worry about being in trouble with their parents, hide their test result or don't try for the next maths test. This is a vicious circle in which people assume things will always be the same even though there has only been one event. We can't just analyse the Consequences (the emotions or behaviours); we must always ask what the Beliefs are. Often, beliefs are deep routed assumptions not based in fact. There is a risk that when our children face challenges we rely on habits and patterns of thinking, miss information, make assumptions, jump to conclusions, lose perspective and catastrophise. We need to question whether we are trying to protect a child from an emotional reaction that we would have or think we might have had in the past to a situation, when in fact the child might not be concerned by the situation or might be perfectly able to cope with the right support and skills. We can't fix every problem for our children or protect them from experiencing difficult situations BUT we can teach them the skills to come up with their own solutions. Failure is not something to be avoided but to learn from. "Never failed, never tried, never lived." When they face a challenge, ask questions about their Beliefs such as "what are you thinking right now? ", "what bothers you about that?" or "what's going on inside your head?". We can't tell our children what to think BUT we can gently nudge them in the right direction. For example, if the Activating event is that your child is not invited to a party, they (or you) might Believe they are not popular or they have no friends. The Consequence might be that they feel angry or sad or that things will never change. Ask questions to encourage flexible and accurate thinking such as "what do other people think?". Challenge them to think of one reason why their belief about why they were not invited might be wrong. Encourage them to put themselves in someone else's place. Try talking to children whilst physically alongside them, or during another activity, rather than sitting face to face which can feel confrontational to them. Let children see that you also face challenges and how you cope with them. Try to be specific not only with criticism but also with praise. For example, children can't do much with "you're a superstar" because they don't know how they earned the praise or how to repeat it. Praise the process not the child, for example praise the way that they sorted the jigsaw pieces or turned pieces around rather than telling them they are clever. With babies and toddlers your own resilience is key. From Early Years onwards, modelling, talking about failure and giving positive praise become important. We all want to help our children and protect them from serious issues but we can build up gradually their resilience by discussing with them, for example, that they can't always take part in every activity, that they can't be the best at everything and that is OK. By Year 4 children are usually capable of discussing the ABC principles and the skills they need to develop resilience. A practical example discussed during the session was your child telling you late in the evening that they need a costume for a school activity tomorrow. That is the Activating event. What are your Beliefs? What are the Consequences (your emotions and behaviours)? Do you panic / feel angry / get stressed / worry about your child having a melt down? Do you automatically assume the consequences if your child doesn't have a costume will be permanent or long lasting; will they really be? At one end of the spectrum, do you blame yourself entirely or at the other end do you blame your child / someone else / the school / the system - is the reality a mix of both? Do you stay up late to make them a costume; work with them to prepare something; suggest where they might look and encourage them to pull something together; set the alarm earlier to see what you can pull together and talk about it being OK to muddle through; or talk to them about them not having a costume or having something less than perfect, giving examples of when similar things have happened to you and how you coped?